Whatever becomes of the 12-acre Galleria Mall site at the corner of Dupont and Dufferin streets, builders Freed Developments and ELAD Canada won’t be moving forward with a City-approved 2004 proposal by then owner Ontario Potato Distributing Inc.
“We’re now in 2016, this plan was approved in 2004… the City of Toronto has evolved, and we now need to make sure that we are getting in sync with where the city is today,” Rafael Lazer, ELAD Canada’s CEO, told BuzzBuzzHome News during a community consultation meeting inside the mall Saturday. 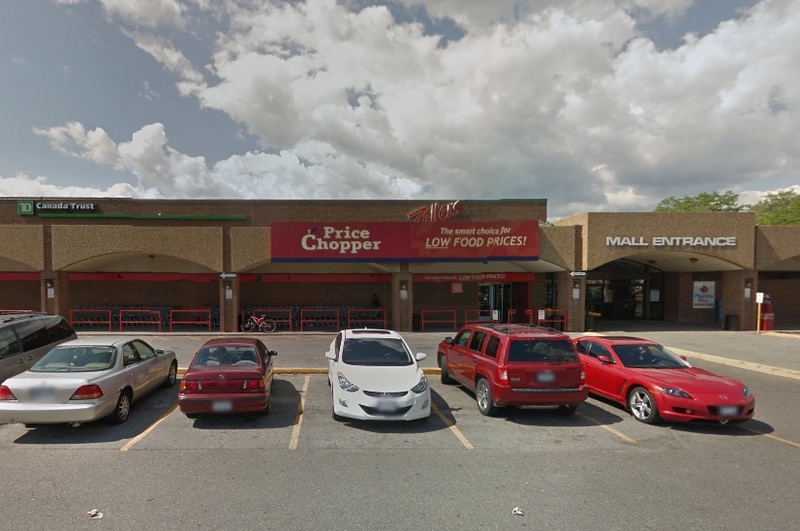 Lazer said a major problem with the 2004 plan — which includes 20 three-and-a-half-storey townhouses and 1,600 condo units spread across six buildings that would have ranged from six to 19 stories — is the “lack of retail” it includes. “We have in our vision a mixed-use development, where we have residential components, the retail component, the services, [and] the amenities,” he continued. “We don’t want to see it go,” he added, referring to retail. The Galleria Mall, built in 1972, offers 225,000 square feet of retail space at present, including a Rexall pharmacy and a FreshCo grocery store. Freed and ELAD purchased the site this summer from Michael Cappuccitti and Jay Burstein, sons of the original owners. At the community consultation, Freed and ELAD also presented the team it has hired to help facilitate the redevelopment. Public Work is handling landscape design, BA Group is looking at transportation, Urban Strategies has been tasked with urban planning, and Hariri Pontarini Architects are covering architecture. Freed and ELAD Canada also provided a loose timeline for the proposal process. The developers and firms will continue to consult the community to help create a master plan for the Galleria Mall site though June, and then work on the development application and approval process from July this year to 2017. Councillor Ana Bailão tells BuzzBuzzHome News she’ll push for more green space and a mix of housing types — including affordable units — for the redeveloped Galleria Mall site. “I will not be accepting money in lieu for the parkland, it needs to come in land, because [although] we have a fairly decent size, we need to make it a little bigger,” says Bailão. Wallace Emerson Park, which flanks the mall to the south, is a 2.7-hectare park that includes an ice rink and playground, as well as the Wallace Emerson Community Centre. At the consultation, Bailão, also chair of the City’s Affordable Housing Committee, supported the developer’s approach. Earlier this month, the developers began posting updates to their Reimagine Galleria website.